Sizing Notes: One size fits most adults and older children. Support your party with these round rimless glasses, adorned with stars and the Democrats' donkey mascot. Metal frames and hinges, shaded lens in red and blue. Fits adults and kids 12 and up. 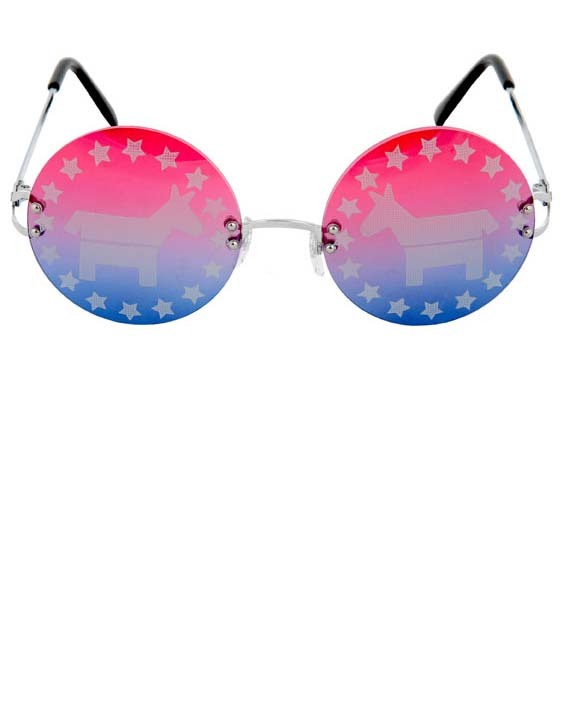 Great for a political rally, on the campaign trail or for Fourth of July! See more patriotic options in our Fourth of July section!